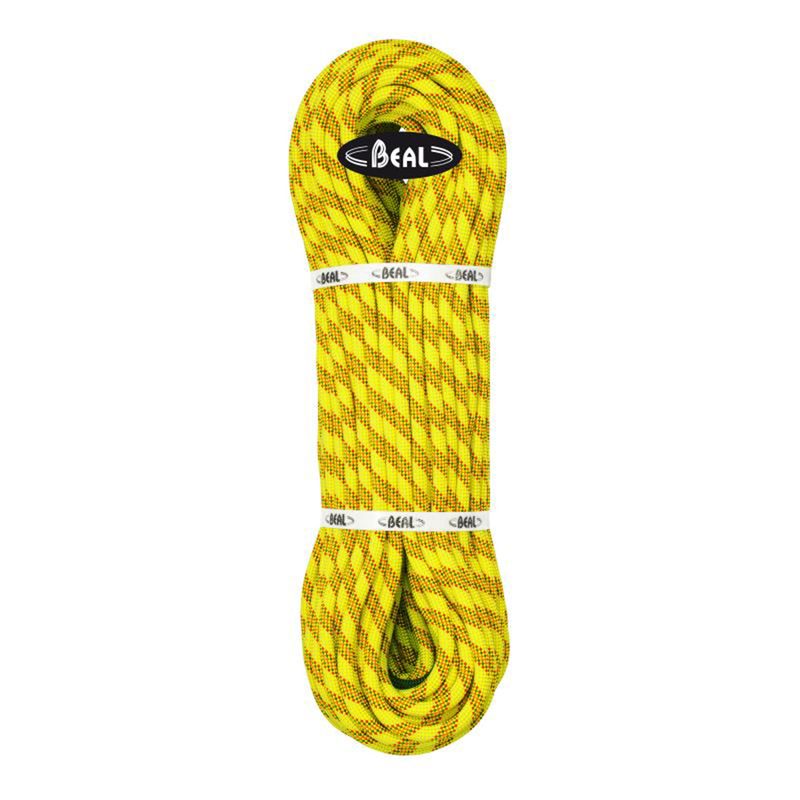 The Beal Antidote is a great climbing rope choice whether you are a beginner at the wall, or an expert at the crag. Ergonomically designed, light and super compact, this is a very intuitive rope to use - perhaps surprising, given the wide diameter of this rope - making it also particularly resistant to abrasions. Crucially, with a UIAA rating of 8, you can climb with the reassurance of a rope that will really work to best catch your fall. 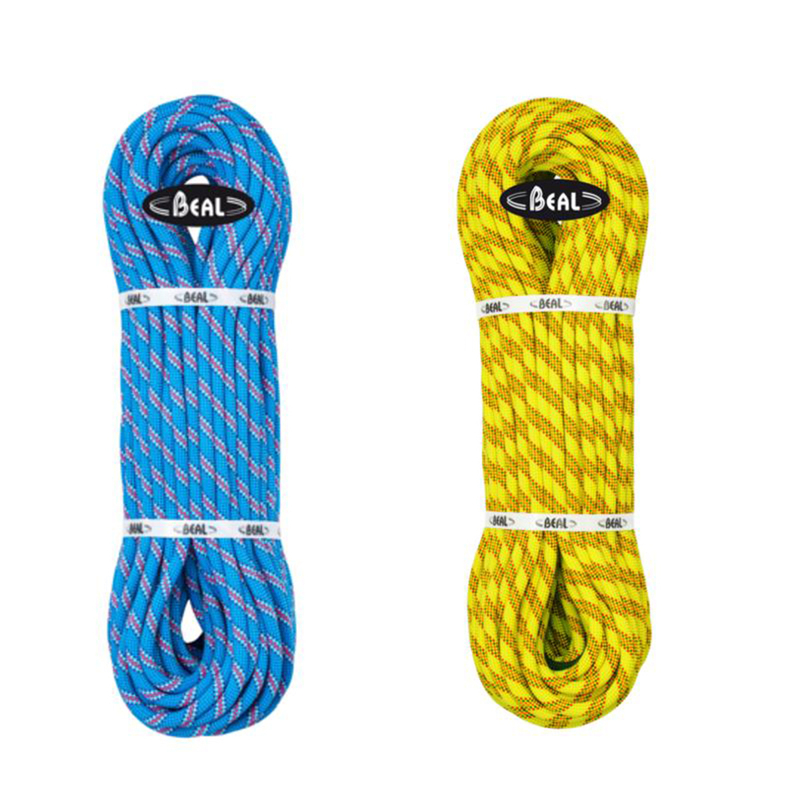 Certified with the 100% Nylon Bluesign label, this rope fits right in with the natural setting to which it’s used. This classic rope has received no chemical treatment, certified with the 100% Bluesign label. Ropes without surface treatment are more eco-friendly and cheaper to manufacture, but they have a higher impact force,thus lesser capacity for cushioning falls. Over 10mm width, this rope is more particularly hard wearing against sharper rock edges. This rope is great for beginners and I had no problem with it whether it was used as a top rope or as a lead rope at a local climbing gym. Goes smooth on ATC, great for top rope, would recommend it for any beginner looking for rope that wouldn' t break the bank. Bought this rope as my first rope and I am really happy with it. Feels light for its thickness, easy to handle and very secure when falling. I've yet to try on it rock, as soon as I do, I'll update the review. Thanks also to epic tv customer service, for the quick treatment of my order and the handwritten note saying thank you in Portuguese. Cool little detail, didn't go unnoticed. Props to Beal for the new 2016 models. The rope goes very smooth on the grigri, as well on different devices. For beginners and to do top-rope's it's excellent.